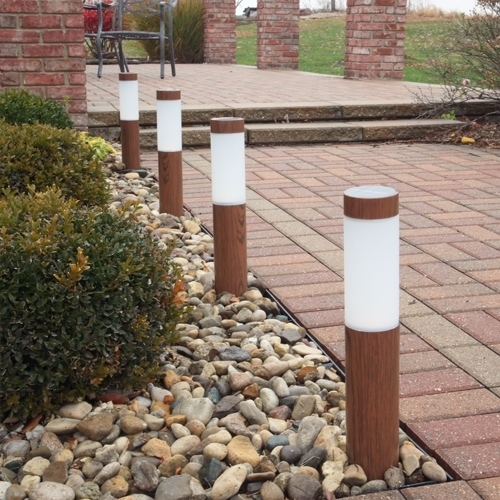 These wood grain finished solar pathway lights combines classical style with function and the easiest installation possible. 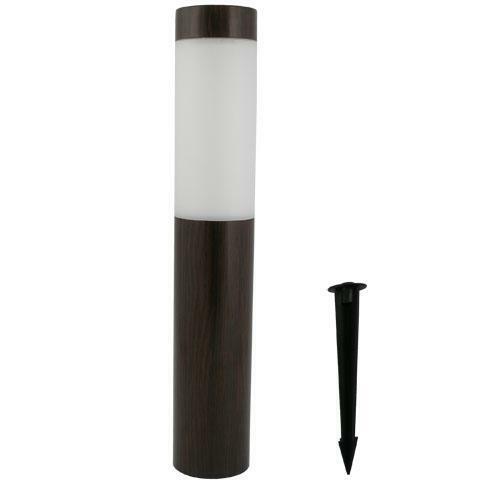 The light beautifully illuminates your driveway, pathway, or patio after dark. Since the sun powers the solar Pathway Lights, you'll save money on your electricity bill and help conserve natural resources. 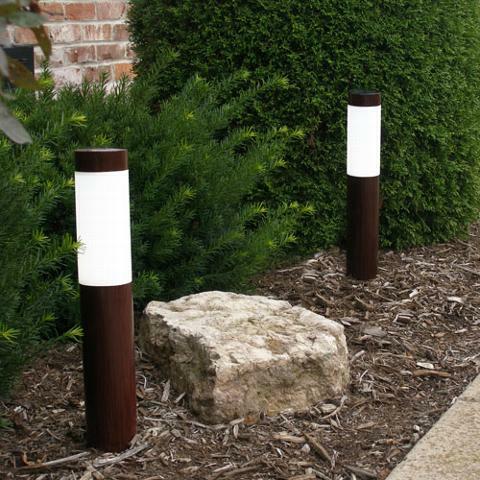 These lights are equipped with a light sensor and at dusk, they automatically turn on to provide soothing white light for up to eight hours. They don't require any wiring and install in seconds. Comes with hardware and instructions for proper installation.